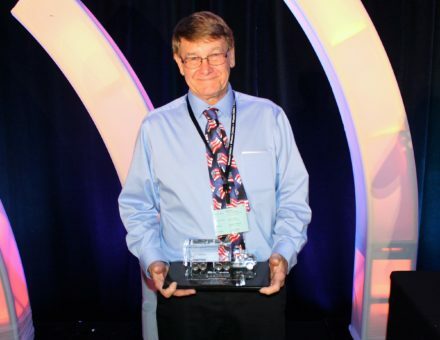 INDIANAPOLIS – Announced recently at Wheaton World Wide Moving 63rd Annual Partnership Conference in Indianapolis, Indiana, permanent fleet driver Steve Bennington of Rainbow Moving & Storage, Waldorf, Md., was awarded the Lifetime Achievement Award – the company’s top safety award. Steve is a veteran driver with more than 40 years of experience as a professional mover. He has received several awards from the van line, including five Driver of the Month awards and 2008 Driver of the Year.